Remember our discovery here at OLPCNews.com of the proto-OLPC project in Senegal? Our insightful readers dug even deeper and found some more news articles from the project. "What's past is prologue," that Shakespearean quip from The Tempest describes the OLPC project's grandfather, MicroWorlds. There are frighteningly strong parallels between this failed early-80s project and today's OLPC project. I've pulled some telling quotes from the original article for this analysis. You can read a longer version of the article with some updated terminology (Apple II becomes OLPC, etc.) 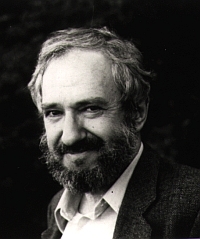 at my blog, or the unadulterated original article, Seymour Papert's 'Microworld': An Educational Utopia, by Charles Euchner. 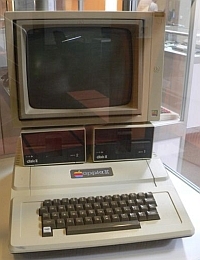 The Apple II - OLPC's grandparent? Also in this perfect world, the traditional teacher-student relationship would change. Instead of attending several classes daily, children would be given sets of academic goals that they would be required to achieve. There might be one lecture per week in each area of study, and during the rest of the week the students would direct their own studies. Such a vision is controversial--"subversive" is the word Mr. Papert uses--and he said he has no illusions about achieving it in the near future. The problems began, the participants said, when Mr. Servan-Schreiber took strong control of the organization and irritated officials from Kuwait, India, Saudi Arabia, and the Philippines who had expressed an interest in the project. The problems continued when researchers, who Mr. Papert said were promised that they would be able to use whatever equipment they felt was necessary, were criticized for using non-French products. There had been a very formal though verbal agreement that the center would never be restricted to use technology because it's French, or for that matter to choose people who were French. But very quickly we were very severely criticized for accepting a gift from Digital Equipment Corporation. In both places, officials from the center sought out members of the community who expressed an interest in using computers and gave them training in everything from programming to repairing a broken computer. The job of those "vectors" was to introduce computers to every segment of society possible. A training program for unemployed youths in Paris using LOGO, Mr. Papert said, showed the promise of computers for the most desperately troubled people. While my immediate question is, if this idea was so good, why didn't it already cause a global education sea-change the first time, regardless of organizational failure, over 20 years ago? Was the technology (or its cost) not quite ready for the constructivist theories? Can the OLPC succeed today in a world of cell phones and desktops where the Apple II failed in a world of landlines and mainframes? However, the goal here is not to point out past mistakes to show that the OLPC can never work, but rather to look at what went wrong and try to figure out what can be done now to head those same problems off at the pass. It appears that the intense interaction and implementation discussed in the last few paragraphs above, reaching out and providing training to anyone interested, helped encourage usage of the systems. What failed were the organization and its leadership. Having an open source and unpatented software (and largely open hardware) is a big step to prevent some, but not all of the organizational problems the MicroWorlds project faced. Still, these are potential threats for the OLPC program. Certain key aspects of the system may get locked down by patents (the "patent pending" yo-yo power generator, for example). "Co-opetition" for the emerging market coming from both Intel and Quanta (see Quanta's suggestion that it will sell $200 OLPC-like computers to the open market, and Intel's ClassMate) (and others, such as Microsoft, will also want in on the action of course). Another risk is a near exact repeat of the MicroWorlds problem, with disagreements in implementation (or lack there of) between OLPC Foundation leadership, lending agencies, and national governments. What seems to be the take-away lesson for governments considering the OLPC program is to drive hard bargains focused on protecting their hefty investment on the up-front hardware costs in case the promised services and support don't come through. What if the development community for OLPC dries up, what if there's a hardware problem, what if connecting the laptops to a network beyond (or including) their local mesh gets wrapped up in controversy (witness attempts for muni wifi in the US)? Development projects don't come with insurance policies, but any project with such large up-front costs requiring ongoing assistance need some form of backup plan. You Sir, are an arse! Negative, negative negative! Do you think that the 'Wright brothers' sat down and thought up a plane, built it and it flew, first time? You are boring to the extreme, if you have no words of encouragement to offer to this Worthy endevour then please shut up! The Wright brothers also didn't ask for large upfront payments by already indebted nations. The OLPC has to work the first time, or the developing countries which buy into it not only fail to close the digital divide, but fall further behind. Besides, I'm not really very worried about the technology itself "flying" or not; and the problem with the Microworld project wasn't that LOGO was not engaging or the Apple II systems didn't survive. The problem was the implementation and politics around the program itself. "didn't ask for large upfront payments by already indebted nations." Ok, so what do you propose as a solution, do nothing, plan something? You can't make an omelet without breaking a few eggs, or are you saying that you can? OLPC or Selling Arms, which do you feel is the best way to secure a better future for our Children? Russian-made Sukhoi (SU-30) fighter jet In recent years, the Russian Federation has become one of the major weapon suppliers to Latin America. This has satisfied two of Moscow's major goals: greater profits and economy of scale for its weapons industry and the continued amplification of its presence in the region. While this does not signify that any aspiration for a return of a Soviet-style Cold War-era sphere of influence is in the offing, it is important to understand the actual depth of Russia's burgeoning presence and the range of influence being exercised by it within the region's military establishments. Moscow's developing bilateral security relations with Latin American governments have become a matter of some concern for Washington. The Russia-Venezuela arms trade has generated, by far, the most international attention. In 2006, Venezuela startled the world by announcing a significant weapons purchase from Moscow: 100,000 Kalishnikov assault rifles, 24 Sukhoi (SU-30) fighter jets, and 53 military helicopters. The eventual price tag on the unfolding deal came close to US$ 3 billion. The aircraft already have begun to be delivered to Venezuela, with the first two arriving on December 8 2006, at the Lieutenant Luis del Valle Garcia Air Base. Another component increasingly tying Caracas and Moscow together is the continuous flow of military personnel, such as pilots and technicians, flying in both directions to provide and receive training. Venezuelan pilots already are receiving flight instructions from Russian teachers, while Russian technicians have traveled to Venezuela to instruct local mechanics on how to maintain the newly purchased and relatively sophisticated Russian equipment. Also, plans are being laid out to construct a factory capable of the mass production of the Russian AK automatic rifles in Maracay, Venezuela's Aragua State. It is expected that the facility will be operational by 2010, producing as many as 50,000 units per year. There are numerous reports that Venezuela will also buy an indeterminate number of Antonov model 76 transport planes (which will replace the US-made C-130s), as well as three Amur-class submarines. The number of transport aircraft that Venezuela might purchase has not been specified, however sources close to the deal speak of a "large consignment." The most recent Venezuelan acquisitions occurred early this year when it was announced that Caracas would buy ten to 12 TOR-M1 anti-aircraft defense missile system from Moscow. The BBC reprinted an article by the Caracas' daily El Nacional where it quotes a retired member of Venezuela's Presidential General Staff, General Alberto Muller Rojas, as saying: "I do not know if there will be more, but 12 is too few; in any case, there will be 12 batteries. To prevent an air attack, more missiles are needed." Such a statement coming from someone who is known to be very close to President Hugo Chávez fortifies the likelihood of a higher volume of military purchases with Moscow appearing more than willing to oblige. In addition, Muller Rojas' intriguing statement poses the question of exactly who might attempt to carry out such an air assault against Venezuela. Last October, Argentine Defense Minister Nilda Garre met with Russian deputy prime minister Sergey Ivanov - who also served until recently as defense minister - when the former handed Ivanov a list of equipment that Argentina might be interested in acquiring. The Russian ITAR-TASS news agency has quoted Garre as saying, "apart from helicopters and air-defense systems, Argentina is most interested in air-traffic-control equipment." It is unclear exactly what type of technology was on Garre's wish list. After the meeting, minister Ivanov said that Argentine officials gave him a list of weaponry they would like to buy from Russia. However, in a press release that was later distributed in Buenos Aires, Garre stated that Argentina was possibly less interested in purchasing weaponry than buying four 3D radar systems to monitor air traffic entering the country's airspace. The Ivanov-Garre meeting came after a compelling presentation by the Russian arms export company Rosoboronexport at the influential Sinprode-2006 exhibition in Buenos Aires. As Buenos Aires regains its financial strength after the meltdown that started at the beginning of the decade, its desire to strengthen its arm forces by purchasing military equipment has resurfaced once again. For years, Argentina has vocalized its interest in purchasing new patrol boats and helicopters, though these efforts were repeatedly deferred as a result of the devastating effects of the 2001 economic crisis. Rosoboronexport's recent display of its product-line in Argentina proved to local military officials that the Russian firm is in a position to provide a wide range of equipment that the nation's armed forces covet: T-90SK tanks, BTR-80A and BTR-90 armored transporters, the Iskander-E missile system, Sukhoi fighters, the Mi-171Sh, Mi-17V-5, Mi-35M, Ka-27PS and Ka-3 helicopter models. The package of possible purchase orders also included Murena-E patrol boats and batteries of anti-aircraft missile systems. It is certain that there will be much concern in Washington over any deals between Moscow and Buenos Aires regarding military sales. On that subject, Garre has declared that: "Buenos Aires is not afraid of a negative reaction from the USA regarding possible purchases of Russian armaments [...] I believe that purchasing arms is the sovereign right of every country, and this cannot displease anyone." Since the General Juan Velasco Alvarado military government (1968-75), Peru has looked to Russia for military technology. Under his government, Velasco upgraded the country's military for one, if unstated, main reason: an eventual war with its longtime nemesis Chile. After hard bargaining with Washington, Velasco purchased a broad range of Soviet weaponry, particularly heavy armor and jet fighters. During the recent Alejandro Toledo and the current Alan García administrations, Peru's top military and political leaders have continued to look upon Russia as their traditional source for weaponry. Moscow also has been interested in preserving this relationship, in fact, even trying to enhance it. Last November, Latin American department director at the Russian foreign ministry, Alexander Dogadin, toured a number of Latin American nations, including Peru, where he declared that: "Peru is our traditional regional partner, and we are broadening bilateral relations in various spheres." In 2005, Lima and Moscow signed a deal to upgrade the country's aging Mi-8 and Mi-17 helicopter fleet. Rosoboronexport has agreed to repair the country's 13 helicopters at a total cost of $18 million. That year also saw the signing of a deal in which Lima agreed to purchase five Mi-35M armored helicopters and five Antonov An-32/Cline transport aircraft, worth a total of $140 million. The delivery terms are still unclear. During their meeting last December in Brasilia between Russian foreign minister Sergei Lavrov and his Brazilian counterpart, Celso Amorim, prospects for a major weapons purchase were discussed. The Brazilian media has reported that the final deal would consist of 30 Russian military attack and transport helicopters, worth about US$ 400 million, which would be consigned by Brasilia to fight smuggling and drug trafficking. However, it remains uncertain if this purchase will ever take place, as negotiations are still going on. In an interesting development, Agence France Presse has reported that Cuba's interim leader, Raul Castro (who also has headed the country's armed forces for decades), signed a military technical cooperation deal with Russia in 2006. Given Fidel Castro's fragile health, the fact that his likely successor is already playing a role, albeit a relatively small one, to renew Cuba's traditionally strong ties with Russia, might be a preview of what the country's military policy would be like under Raul Castro. "How much clearer it would be to both Russians and Americans and to all of NATO if we adopted a symmetrical response that was very easy to understand - say, by deploying our own missile-attack early-warning stations or space-based missile defense systems on the territory of friendly countries like Cuba or Venezuela." It seems only logical to conclude that that Cuban military purchases will soon take place. In 2001, Colombia purchased six Russian attack helicopters, type Mi-17 IV version, which were delivered the following year. The deal was worth US$ 36 million. According to reports, all six helicopters were equipped with night vision devices. A spokesman for Rosoboronexport, Boris Alekseyev, declared at the time of the sale, that the helicopters "ideally meet the needs of the Colombian army, as they are two times cheaper than their American counterparts, they can effectively act in mountain conditions and rapidly move whole army units." In spite of the special ties that Colombia has with the U.S., Bogotá seems to have no problem purchasing weapons and filling Moscow's coffers with some of the nearly one billion dollars it is likely to have received from the U.S. by the end of this year. Mexico has carried out a small but interesting military arm purchasing program. Between 1999 and 2000, Mexico City bought two An-32/Cline transport aircraft and two Mi-25 attack military helicopters, according to the Stockholm International Peace Research Institute (SIPRI). In 2002, the Mexican navy purchased Dzhigit launchers and portable Igla/SA-18 Grousse anti-aircraft missiles. According to SIPRI, this last deal was worth $2.1 million for 30 missiles and 5 launchers. At the time, the Russian news agency ITAR-TASS quoted Julio Cesar Lizarraga, a member of the Mexican lower house and also of its navy commission, saying that the purchase "will double the navy's ability" to protect offshore oil deposits in Campeche Sound against possible a terrorist attack. Purchases continued in 2004 and 2005, when the Mexican military bought around 100 Russian-made Ural heavy off-road vehicles. On November 2006 ITAR-TASS also reported the opening of a training center for pilots of Mi-17 helicopters equipped with a unique Russian-made simulator last. The facility is situated at a naval base in the state of Veracruz. Mexican Secretary of the Navy Admiral Marco Antonio Peyrot Gonzalez headed the high-level delegation attending the opening ceremony. Furthermore, under the terms of a Mexico City-Moscow, Russian specialists will routinely travel to Mexico to provide maintenance services to around 80 Mi-17 helicopters. During his trip to Brazil, Lavrov huffily declared to an audience of distinguished citizens that "We are not selling [weapons] to any country that violates international laws." Meanwhile, General Raul Isaias Baduel, Venezuela's defense minister, has justified his government's purchases, explaining "all our acquisitions are strictly for defense." While this statement may be true, it cannot be denied that at a certain point Moscow's military sales may have gradually altered the geo-security landscape of much of the Americas. These results are not likely to please Washington policymakers. Long time foes Peru and Chile periodically accuse each other of embarking on a unilateral arms race that threatens the other's national security. Lima's upgrading of its helicopter fleet has raised eyes in Santiago, particularly as it comes at the same time as the purchase of a number of Lupo-class Italian frigates. Concerns have been expressed in Brazil, as expressed in an August 2006 article in the Brazilian newspaper Correio Braziliense, which was reproduced by the BBC. The article details that Brazil recently made an order for 12 Mirage 2000 aircrafts (with 15 to 20 years of service in the Armée de l'Air, the French air force). The asking price was $100 million; however, the resulting economic savings have been cancelled out by certain political and security sacrifices, in which Brazil lost out to Chile and Venezuela in terms of maintaining absolute air supremacy. Felipe Salles, editor of the electronic magazine Base Militar and a defense expert, was quoted in the Correio article as observing that: "the United States is always reluctant to sell advanced weapons, like BVR (Beyond Visual Range) missiles and laser-guided bombs, on our continent. Probably, the Russians will have no reservations." This was in reference to Chile and Venezuela's jet fighter purchases, and Santiago buying F-16 planes, with Caracas being already blocked by Washington from acquiring spare parts for its existing feet of F-l6s, resulting in the purchase of the Sukhois. Finally, Caracas' military purchases have raised wary eyes in both Washington and Bogotá. While it is ludicrous to believe that Venezuela may pose a security threat to the U.S., the South American country's defense policy is being constantly characterized as a destabilizing factor in the region. Historically, relations between Colombia and Venezuela have gone through recurrent periods of tension; an example of this was both countries almost went to war in 1987, the Jaime Lusinchi government claimed that a Colombian warship had, without permission, penetrated Venezuelan territorial waters. Such tensions have been further exacerbated during the Chávez-era after at least, on one occasion, the Venezuelan leader declared himself to be sympathetic to the cause of Colombia's leftist guerrillas, while Bogotá accused Venezuela of being used as an R+R facility for them. The major de-stabilizing effect between Bogotá-Caracas relations could very well be, a result of the construction of the Kalishnikov factory in Venezuela. Colombia and Washington are bound to be apprehensive that some of the rifles that will be produced in this new installation may ultimately find their way to the Colombian rebel groups like FARC and ELN. Interestingly, in spite of critics pointing to an arms' buildup among the region's militaries, this has not been the case so far. Aside from the short-lived, non-declared spats between Peru and Ecuador in 1995, there have been no major inter-state flare ups in the region. Some experts have even minimized the legitimacy of any U.S. concern over Venezuela's weapons purchases, dismissing it as simply a normal transaction which lacks any provocative connotations. Retired general Alberto Miller told Inter Press Service in a 2005 interview that "it would be ridiculous for the world's major powers, which routinely spend huge sums on defense, to classify as an ‘arms race' the purchase of 100,000 rifles or 40 helicopters for a country that, like Venezuela, [that] has a difficult border of over 2,200 kms to guard on its western frontier alone." Mounting weapon sales to the region in recent years have increased Moscow's foreign currency earnings. In a March 1997 interview published in Nezavisimaya Gazeta, Boris Kuzyka, Assistant to the Russian President on Military-Technical Co-operation with Foreign Countries, explained that hard-currency returns from military-technical co-operation have doubled: from $1.7 billion in 1994 to $3.4 billion in 1996. The Russian official went on to mention that the regions most promising for Russian Arms exports were the Middle East, South East Asia and Latin America. The continuous export to regions like those Kuzyka mentioned helped Russia tie the U.S. as the world's top arms exporter between 2001 and 2005, harnessing around 30 percent of the global market, according to a report by SIPRI's Arms Transfer database. President Putin has declared, according to Agence France Presse (AFP), that Russia had sold arms to 61 countries around the world in 2005, resulting in six billion dollars in signed contracts that year - a post-Soviet record. AFP also cites Pavel Felgenhauer, a Russian defense expert, saying that while Russia had become the biggest arms exporter in the world in terms of volume, it still lagged behind the United States in terms of the "actual money" earned and the total value of contracts signed but for later delivery. Nonetheless, said Felgenhauer, "Russia is still far from returning to Soviet-era export levels, which were ten times higher." This point of view is shared by Vladimir Pakhomov, deputy director-general of Rosoboronexport has said that "At the moment, Russia's share in arms exports to Latin America is not sufficient." The Venezuela arms deal, among others, is slowly but steadily bringing the volume of the Latin American arms trade to pre-1991 levels for Moscow. In fact, Russia already has surpassed the U.S. in arm sales to the Third World, with France coming in third. According to a November 2006 CanWest News Service story by Steven Edwards, a U.S. Congressional report says Russia's US$ 7 billion in arms and ammunitions deals with developing countries accounted for almost 25 percent of the US$ 30 billion in its total 2005 contracts. France inked agreements to supply US$ 6.3 billion and the United States came in with US$ 6.18 billion, while China registered US$ 2.1 billion in such sales. More information can be supplied by the Congressional Research Service's Report entitled: "Conventional Arms Transfers to Developing Nations, 1998-2005" published last October. The report notes that Moscow exported $ 300 million worth of arms to Latin America between 1998-2001, and $ 600 million between 2002-2005. The likely exponentially growing Venezuelan arms procurements should vault past all such barriers on such sales. It is very likely that the growing of Russian weapon sales to Latin America will continue over the coming years. President Putin has shown himself as a big supporter of these sales in order to expand Russian influence abroad. As reported by the International Herald Tribune, Russian customs figures show Russian arms exports - of which Rosoboronexport controls 90 percent of the market - have grown by almost 70 percent since Putin established the agency in 2000. In addition, nations like Cuba and Venezuela have few other sources for military equipment, due to their strained relations with the U.S., making Russia their natural weapon supplier, given that the U.S. has veto rights over the sale of any weaponry containing U.S. components. In April 2005, Aleksandr Fomin, the deputy director of the Russian Federal Service for Military and Technical Cooperation, declared: "There are good prospects for boosting our military-technical cooperation with Latin American states [...] We can offer Latin American states not just arms and military equipment, but also military technologies, cooperation in developing and manufacturing arms and licenses to produce Russian equipment." Fomin was speaking almost prophetically, as Russia's presence in the arms trade, particularly as it regards Latin America, which has boomed ever since. Human rights body, Amnesty International (AI), has criticized the G-8 countries including the United States of America, the Russian Federation, France, the United Kingdom, Germany, Italy and Canada, for selling arms to Nigeria and other developing countries, involved in human rights abuses. Amnesty said the arms purchased by these developing countries are used by their governments against their people. In a statement, the human rights body noted that "weak national control of the international transfer of 'conventional' arms and security equipment contributes to the persistence of gross human rights violations. "Of all the states with inadequate laws and administrative procedures to manage the export, transit and import of such arms - of which there are very many - none are more conspicuous than those states running the world's largest industrialized economies - the Group of Eight," the human rights group stated. Amnesty International revealed that in recent years, the US government had frequently hired or authorized private military consultants to train foreign police forces and military troops. According to a detailed scholarly study, US companies trained military forces in more than 24 countries during the 1990s. The list of the beneficiary countries includes Angola, Bolivia, Bosnia, Colombia, Croatia, Ecuador, Egypt, Equatorial Guinea, Ethiopia, Ghana, Haiti, Hungary, Kosovo, Peru, Liberia, Malawi, Mali, Rwanda, Senegal, Saudi Arabia, Sweden, Taiwan, Uganda and Nigeria. Amnesty also revealed that Russia had recently supplied helicopters to Nigeria. Amnesty International noted that Nigerian security forces continued to use excessive force in response to protests against oil company activities and in 2000 were allegedly responsible for large-scale killings of civilians in Benue State. "No independent investigations were carried out into allegations in connection with these incidents, or into other killings by the security forces since the return to civilian rule in May 1999," the statement read. Amnesty also said that the Nigerian security forces had in their inventory Beretta M12 sub-machine guns and Beretta M951 9mm pistols which they obviously got from members of the G8 group. In response, the G8 proposed to "support efforts by African countries and the United Nations (UN) to better regulate the activities of arms brokers and traffickers and to eliminate the flow of illicit weapons to and within Africa. "These efforts are to include (i) developing and adopting common guidelines to prevent the illegal supply of arms to Africa; (ii) providing assistance in regional trans-border co-operation to this end, and (iii) supporting African efforts to eliminate and remove antipersonnel mines. But Amnesty International stated that the 2002 G8 Summit's Action Plan for Africa failed to recognize the responsibility of the G8 governments themselves for the sale and transfer of arms to African countries, including by dealers, brokers and transport agents who are nationals and residents of the G8 countries. It said that the Action Plan rather included a call for African nations to regulate illicit arms sales. The G8 proposed international guidelines and border co-operation for dealing with the massive suffering and destruction caused by the proliferation and misuse of small arms and light weapons in Africa. "But these measures are clearly not enough. In response to direct threats to their own states, the G8 Summit agreed to a 'global partnership to prevent terrorist access to weapons of mass destruction'. This included a set of tough principles, a host of practical measures, and a $20 billion budget to stem nuclear, chemical, radiological and biological weapons. Yet no similar partnership was offered to Africa to curb small arms and associated military items," the body stated. According to studies conducted, Amnesty said that the governments of the G8 nations authorized unparalleled levels of arms and related assistance to the world's armed forces and law enforcement agencies, but also to "those who persistently commit gross human rights violations - equipping them, emboldening them and rewarding them". At least two thirds of all global arms transfers in the years 1997-2001 came from five members of the G8. The top supplier of weapons to the world was the US, accounting for 28 per cent of global arms transfers. Second in line was Russia, with 17 per cent. Third was France at 10 per cent, followed by Britain at 7 per cent and then Germany with 5 per cent. Amnesty said that, for 25 years, US law had stipulated that weapons should be kept out of the hands of governments that will use them to abuse human rights. "Yet US commercial arms sales have frequently had the opposite effect. US arms sales directed to developing countries have quadrupled from 2000 to 2001, many of them with forces that persistently abuse human rights. In addition, US military aid is currently furnished to more than 30 countries identified by the US itself as having a "poor" human rights record, or worse," Amnesty reported. I am inclined to believe that Papert's constructivist model for education is the way to go today. It's a fact that the modern educational curriculum and methods were designed a century ago with the explicit purpose of preparing people to be factory workers, doing a simple task over and over again under the direction of a manager. There are still a lot of people, like in China, who are employed in such factories, but increasingly we are living in an information-driven economy, where learning and creating are essential parts of employment, and everyday life. Think for example of Wayan's creation of this website and all the information it collects. Papert's constructivist pedegogy is designed for just such a world. I agree with your general point. However, I think it is counter-productive to devote such a long post to it. Some people will be persuaded by a paragraph or two. Those who are not will not have their minds changed by adding twenty more paragraphs, and doing so annoys most people. I've worked in medical device technology. The product has to work the first time and every time. We looked for things to be pessimistic about and fixed them. We kept that up until no possible cause for pessimism remained. Then we had a product. Please define: "has to work the first time and every time" in an educational context. What are your standards of judgment of a device "working" in an educational context? What do you mean by "every time"? Are there going to be regional differences? Is a one-for-all approach going to succeed? OLPC failed so far in answering these questions. Can you? Interesting aviation analogy. The Wright brothers had it all going for them in 1903-08 when they had the only airplane with true control (wing warping, the ancestor of the modern aileron) when nobody else had thought of it. Their problems began when others (Glenn Curtis, Louis Bleriot, etc) decided to employ similar systems. The Wrights spent the rest of what should have been their most productive years fighting it out in court with just about everyone else for patent infringment. Meanwhile, the world of aviation passed them by and they were essentially out of business - and technically irrelevant - before the beginning of World War I.
I don't know if any of the above history can be used to draw a direct parallel with OLPC but it could illustrate, if the XO becomes a commercial reality (and lets all hope so), to have them spend more time developing it into an even more useful tool after its already out there and not to spend as much time as Orville and Wilbur did trying to go after their competitors - or current collaborators - with frivolous lawsuits. Just as doctors defined “works” for our medical products, educators are presumably doing so for OLPC. We found doctors who liked to get involved in cutting edge techniques. Presumably OLPC picks its educators in a similar fashion. However, my point is that pessimism is very constructive when directed to design and process improvements. In my medical device work we enjoyed the enthusiasm for our product, but paid close attention to the criticism. The criticism drive us forward. I hope OLPC sifts through criticism and pessimism as inputs (although not the only inputs) to improve their program. "Presumably OLPC picks its educators in a similar fashion." I must be more witty when I slag people off in your Class. Well well, it seems the more we are approaching the large (not large enough to Wayan I know ;) ) scale rollout of the OLPC, the more OLPCNews must find negative posts to feed its editorial line. Never mind, keep up with your posts. It's always interesting for lurkers like me, be they skeptics or believers to OLPC. Time will tell. I am neither an unabashed friend or foe of the OLPC project. In my opinion, it is important to define success. What the OLPC project is doing, and what the Apple II did in the 1980’s, is ask the educational community to re-think the delivery of some aspects of learning. In my 25 years of interacting with educators, I have never heard the word “failed” attached to “Apple II”. So too, the OLPC project is stirring debate amongst educators and this is healthy. Whether or not millions of OLPC laptops see the light of day is not the sole criteria for project success. 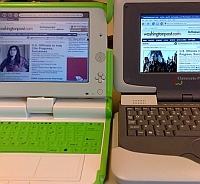 The OLPC group has forced other major firms to re-think what is really needed in a laptop computer. This, in itself, is a success. Finally, the world needs more Dr. Papert’s - people who question the way things are done and offer new ideas, yes, sometimes controversial ideas. Newsweek magazine recognized his significant contribution to educational technology by naming him one of the top ten innovators in education. "The OLPC group has forced other major firms to re-think what is really needed in a laptop computer. This, in itself, is a success." I agree with you one hundred percent. If the oplc project was to shut down tomorrow, it would still have been an enormous success. Look at all the companies that are scrambling to make low-cost laptops. That wasn't happening before, and now it is. Wow! 3,900 words to say governments should by OLPC laptops instead military hardware. Cambarne, you really out did yourself. 1. every single person involved with OLPC agrees that education is better spend than arms. 2. a OLPC or Guns choice is false, both because no government makes such this-or-that decision, but also because there are more options than OLPC in the educational sphere. Now please be on-topic. This specific post would be about the impact of MicroWorlds past on OLPC's future. No government makes this choice? Have you looked at the educational system in North Korea lately? Seems to be in a horrid state while their million man army has ever developing ballistic missile technology, not to mention nuclear. It would seem your premise is invalid. I think its fair to say any 'Military Regime' governemt comes under a different heading. North Korea is not a known OLPC country (thank god) and not even considered a government in many learned circles. To use it as an example only proves my point: no OLPC-considering government would make a OLPC or Guns choice.